First place ($10,000): Sara Lubkin, N. Virginia Community College, USA, What Can Beetles Tell Us About Past Climates? We will be featuring these Story Map Journal apps at the 2017 Esri Federal GIS Conference, the 2017 Esri Education GIS Conference and other events, as well as in various social media outlets. Congratulations, and a huge thanks to all who participated. We hope to see you again next year! 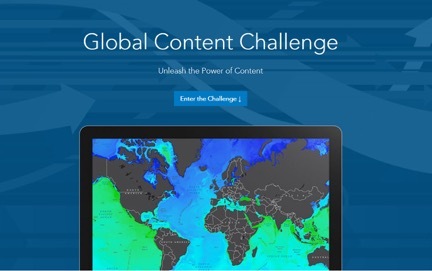 Learn more about the Global Content Challenge today at esri.com/content-challenge.